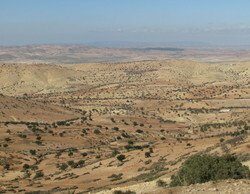 Argan oil is only produced in Morocco, the only country in which the ancient argan tree grows. 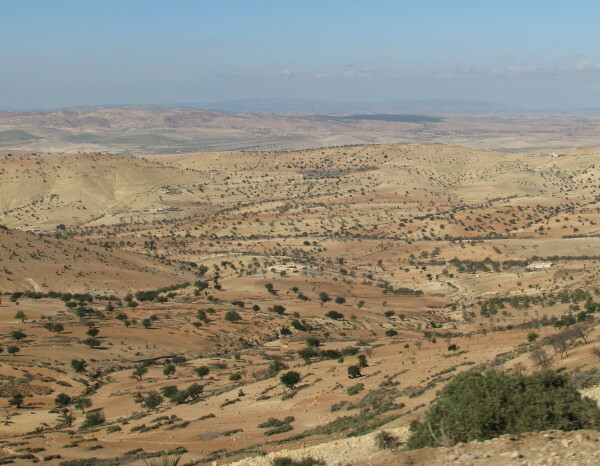 The region from Essaouira to Agadir and inland, particularly the Souss Valley, is full of scrawny, wild, drought resistant argan trees. 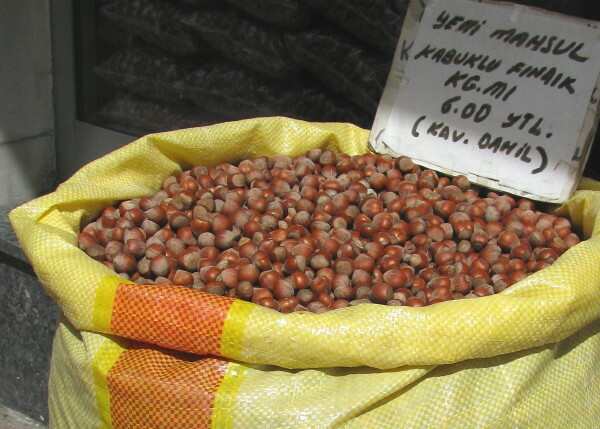 Families have collected, cracked and ground argan nuts for their own homemade oil for centuries. 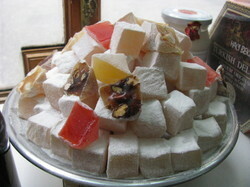 We have found that sugar is often accompanied by nuts in Turkey, and they are as important as each other in the cuisine. Everyone knows which region grows the best of each kind of nut, and the nuts are often named after these places. We managed to visit several of them. 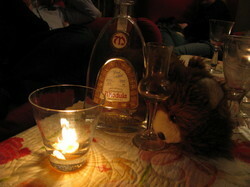 Miodula – a vodka made out of honey. Yes, a vodka. Made out of honey. Bears are quite keen on honey. Barnaby is quite keen on vodka. Today we are taking him to safety in Slovakia. 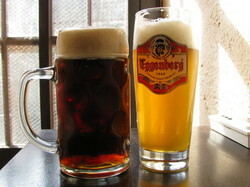 The Czechs certainly like their beer – in fact, they drink more of it than anyone else. One of the world’s best-known beer styles, pilsner, is named after the Czech town of Plzeň; and the name of one of the most famous brands (deservedly or not) derives from the brewing centre of České Budějovice (or as the Germans call it, Budweis). They’ve also been brewing it for a very long time. In Český Krumlov, they’ve been brewing since at least the 1300s, with records showing they were granted a charter to brew and sell beer in 1336. And at the Eggenberg brewery, they still make beer the same way – local organic ingredients, secret recipe and all – producing a rich, tasty, slightly yeasty brew known for its dramatic effects on the youthful appearance of the local womenfolk and on the digestive systems of tourists. 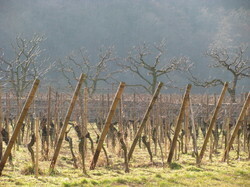 Having driven up and down the picturesque little Alsatian valley at least four times, we finally decided to pull into the winery despite the enormous ‘Domaine Faller’ sign and the distinct lack of inviting ‘tastings’ signs for tourists like us which are displayed prominently at so many other wineries. And when Colette Faller peered round her front door at us, she didn’t look sure we were in the right place either. Miso is Japanese fermented soybean paste. It looks like peanut butter and smells bad. But don’t let this put you off. It adds an intense and savoury depth and complexity to many dishes. It is high in ‘umami’ – the fifth (and best) basic taste, after sweetness, saltiness, bitterness and sourness. Other umami-rich foods are Parmesan, soy sauce, fish sauce, mushrooms, tomatoes and some meats. They are all high in tasty glutamates (as in monosodium glutamate, which occurs naturally in seaweed and was isolated and developed as a food additive back in 1907). It’s good for you too, as it’s very tasty, yet low in calories, and also full of protein, beneficial bacteria and B vitamins. We all know that bees make honey from nectar. But did you know that they ingest and regurgitate the nectar several times before laying it in the honeycomb? Or that they use their little wings to fan the honeycomb to evaporate enough moisture from the honey so that it cannot ferment? 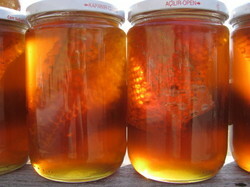 Honey has so much sugar and so little moisture that you can keep it your whole life without it going off. The sugar kills most bacteria and the lack of moisture prevents natural yeasts from reproducing. Someone once found a 2000-year-old pot of honey in an Egyptian tomb and said it tasted great.